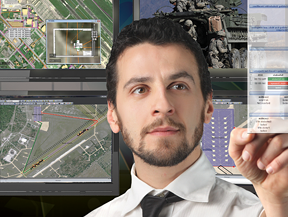 L-3 STRATIS delivers high-quality solutions that support mission objectives around the world. L-3 STRATIS is a leading geospatial services provider with over 18 years experience in providing high-quality services and solutions to federal civilian and defense agencies and state government entities. We specialize in developing solutions and providing services that extend our customers’ geospatial programs to complement their existing IT architectures. Our support spans the full spectrum of enterprise IT applications and geospatial data delivery mechanisms, including geospatial intelligence. L-3 STRATIS combines the latest technology with proven development practices and ISO 9001:2008 standards. Our high quality solutions support mission objectives by delivering reliable data and automating business processes to allow better decision making while lowering costs.